Ok, to understand my thoughts you have to spend a bit time, follow the links and watch the videos and sources I linked to (or may be not, if you know them all). January 18th The whole world protested against a law in the US (SOPA/PIPA). January 19th 11pm:I read that the Police in New Zealand arrested Kim Dotcom (Schmitz), Bram van der Kolk, Finn Batato and Mathias Ortman and shut down the servers of their company megaupload (Press Release FBI: Justice Department Charges Leaders of Megaupload with Widespread Online Copyright Infringement). As you may know, I am author/writer and I offer my books for free here on that website in different languages (publications). I was curoius and downloaded the iBook Author app for playing around with it. It’s wonderful, perfect … I like it … and I will for sure use it to create a book. I already work with Pages. Pages is old, it is slow, but I like it. Unfortunately the files you produce with iBook Author are tied to the Apple platform. It is not allowed to offer them for free download on my website. I am only allowed to offer them in Apples iBookstore. In Cory Doctorows video I learned, that this idea of appliances is a bad idea. Hm … in general I agree with him … but if you are in a situation like me … why not trying it out? May be later on an open source project will offer a similar authoring tool. Nearly the same content that appears as in my printed books is already available in a much better shape here on the website in a free HTML version, with slideshare presentations and videos included and dowanloadable as PDF … ok, I have to think about that. In the middle of the nineties he was known quite well in Germany, he founded a company called Data Protect and sold it to a serious institution (TÜV Rheinland). It was the time where the internet was “new” and people started to build “homepages”. There was a huge discussion between him and the CCC. In 2001, he had problems with other companies he founded, with inside trading and got in legal trouble. The wikipedia article about him is growing and growing over the day … read it. Megaupload, the file-sharing service of the company, allowed all users to upload files to the service. After a successful file upload, the user was given a unique URL which allowed others to download the file. There are more of these kind of companies. Today in the morning, when I was out for buying croissants and the baker told me, that the site isn’t fully down. He tried multiupload.com and it was possible for him to reach his files. The baker told me that – in Fitou! According Alexas 100 topsites: No. 72 website of the world and No 22 in France. The fat guy in the middle (1:50) is Kim Schmitz. The other people are more or less simply stars (Will.i.am, P Diddy, Kanye West, Chris Brown, Jamie Foxx, Kim Kardashian, Lil John, The Game, Floyd Mayweather, Serena Williams, Ciara) . While I am writing this blog post, the video was watched 50,000 times! The Data – Where is it now? megaupload.com stored nearly 25 PetaByte client data. Who has access to that data now? Is is possible to do the same with Microsoft Azure Data, Amazon Cloud Data, Dropbox Data and other cloud stored data? During the night and in the morning Anonymous supporters attacked the websites of the Department of Justice, the FBI and Universal Music Group, among others. The hacktivists used a technique called a Distributed Denial of Service to overload their targets with web traffic and effectively force them offline. Megaupload charges it’s users, The Pirate Bay asks for donations. Big difference. 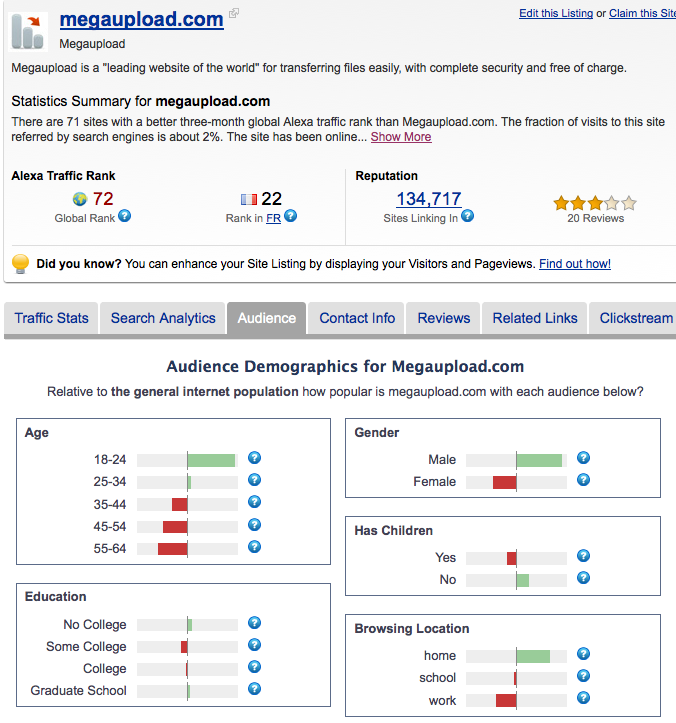 What was good and what was wrong with the business model of megaupload? What is good and what is wrong with the business model of Universal? What is good and what is wrong with the business model of Apple concerning iBook Author and iBookstore? What could be a better business model for all of them? 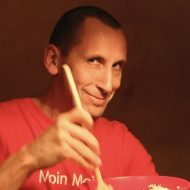 Is there a way for Authors, Writer, Journalists to get paid for their work beside the old model?